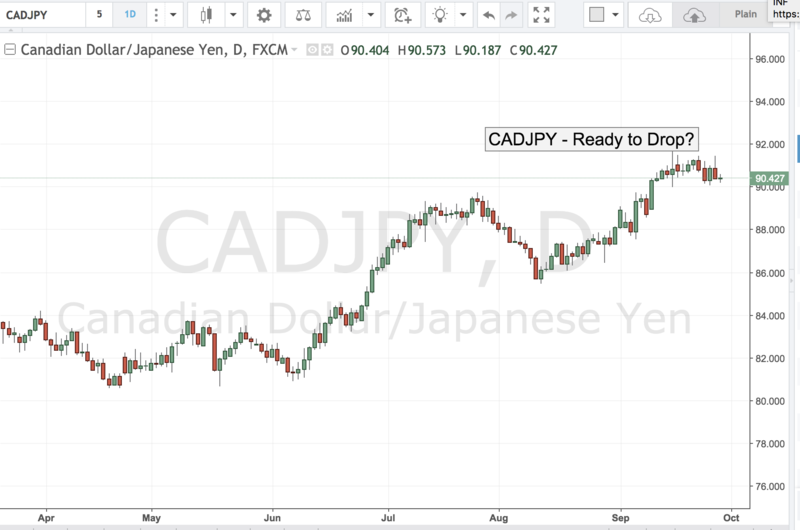 CADJPY – Ready to Drop? Tomorrow the market will get a glimpse of Canadian GDP and inflation data as well US Personal Consumption Expenditure reading which is the Fed’s favorite measure of inflation. Both data points could disappoint leading to a steeper selloff on CADJPY. The loonie has already been hurt by less than hawkish comments out of the BOC and if the growth data shows a further decline -- or worse a negative reading -- USDCAD could easily scale the 1.2500 level and beyond. Meanwhile, USDJPY has run into serious resistance at the 113.00 figure and with US yields starting to back up any soft reading in US inflation data could sow doubt about Fed’s ability to hike rates in December. All of this leaves CADJPY very vulnerable to a selloff especially because the pair appears to have found distribution at the 90.00 level. If it breaks to the downside, 88.00 could be soon in view. 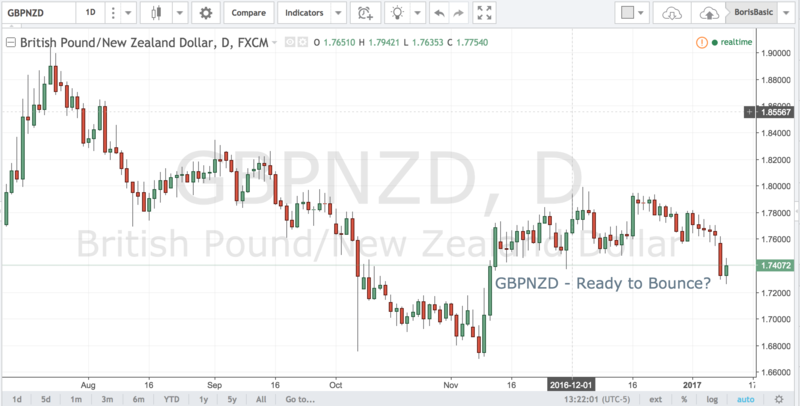 GBPNZD – Ready to Bounce? GBPNZD is one of the most volatile pairs in the forex market, and yesterday was no exception to that rule as it dropped nearly 400 points in one day. And yet the looks ready to bounce as it approaches key support at the 1.7200 level. The trade in GBPNZD is really a bet on the bounce in cable as kiwi remains moribund with a slight negative bias in the market. Sterling, however, has absorbed 3 attempts to take it below 1.2100 level and so far has been able to withstand all the selling. Although the prospect of hard Brexit hangs over the currency, the ebbs of flows of negotiation have a long way to go, but any upside surprise in data could create a squeeze in cable over the next few days. As long as 1.7200 holds GBPNZD remains a buy. 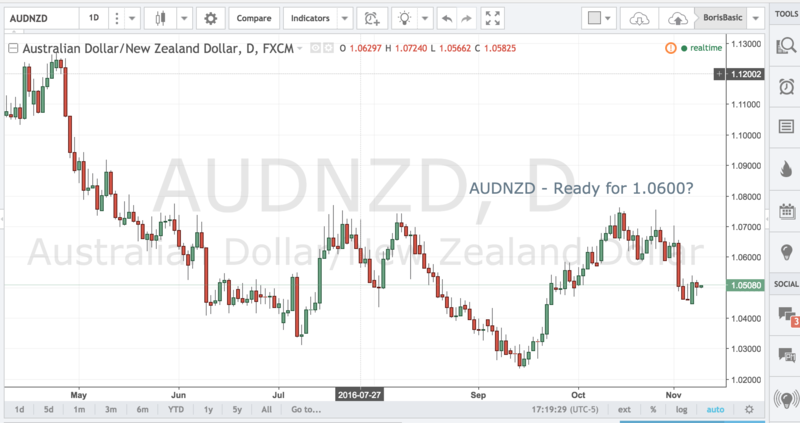 AUDNZD – Ready for 1.0600? Unless all the tracking exit polls are wrong it looks like Hillary Clinton will win and that means most of the pro-Clinton FX trades have been priced in and attention will turn back to day to day affairs. Tomorrow the marquee event of the day will be the RBNZ decision as the market prepares for yet another rate cut. Although general economic growth and inflation gauges in New Zealand have been above estimates the central is still very likely to lower rates as inflation remains low and most importantly the kiwi remains high. With risk trades catching a bid the kiwi is now near the yearly highs of 7400 and the RBNZ is likely to talk the currency lower as it prefers the exchange rate to be closer to 7000. That means that AUD/NZD which has found strong support at the 1.0450 level may be ready to rally with 1.0600 the most immediate target of the longs in the aftermath of the RBNZ rate decision. GBPJPY – Ready to Bust? One of the better trading signals out there is when fundamentals move one way and technicals the other. For the past week UK data has been nothing short of horrid yet cable has stopped falling and has actually remained relatively bid against most of the majors. One of the stronger crosses over the past few days has been GBP/JPY which has been fueled not only by relative strength of cable but by the breakout in USD/JPY. With the pair now approaching the 135.00 figure it stands on the cusp of breakout that could propel it towards the 140.00 level over the next several weeks if US data proves positive and UK data simply beats the lower expectations. 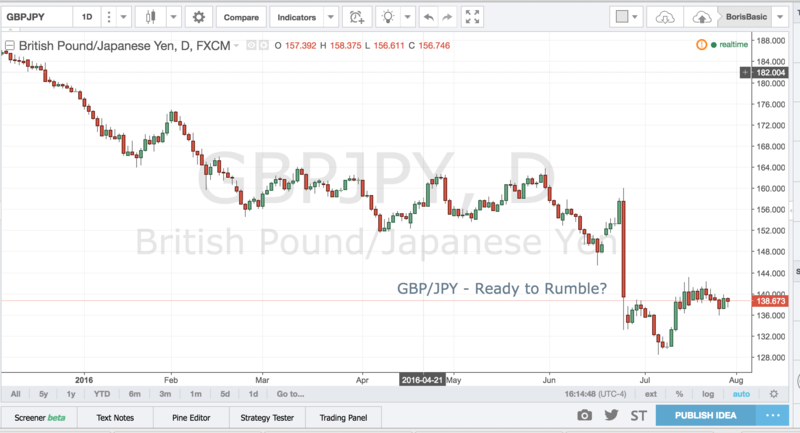 GBPJPY – Ready to Rumble? The whole week has been building up to this. The BOJ announcement tonight is sure to move the yen and the yen pairs as the market awaits the decision about the size and scope of monetary stimulus. 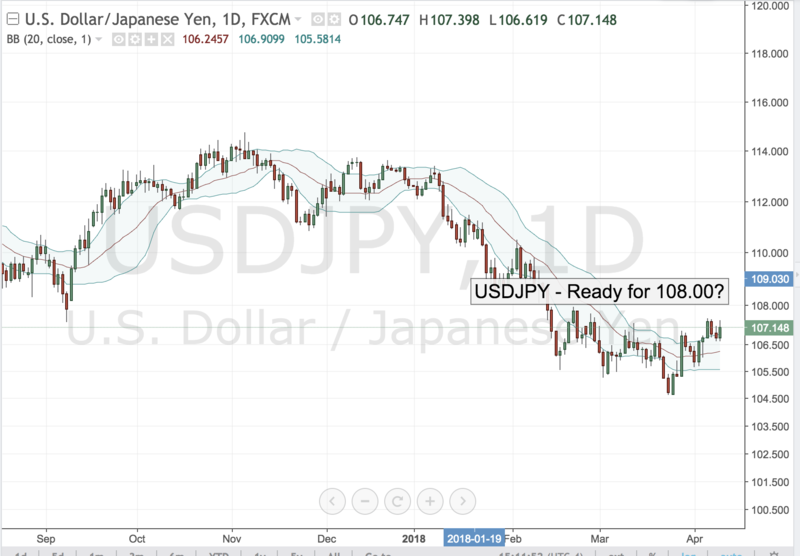 Any number less than 20T yen is likely to disappoint and could send the yen several big figures lower, but if the BOJ brings the bazooka and surprises the market to the upside yen pairs could skyrocket higher. 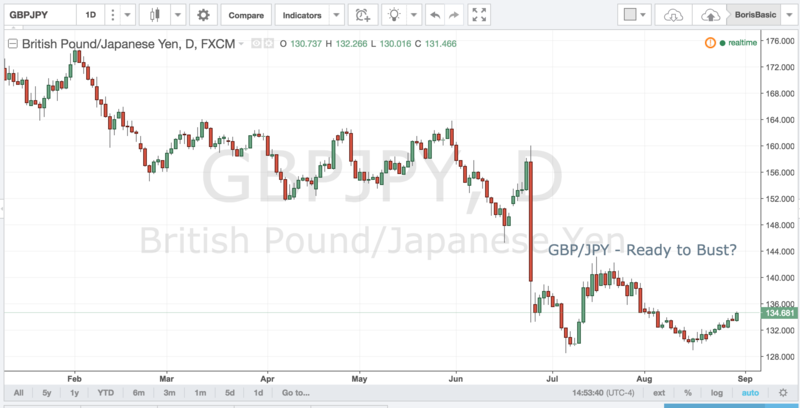 Although cable has been weak today the pair continues to hold the 1.3000 barrier and a pop in yen could take GBP/JPY right back above the 140.00 figure. If on the other hand the market is disappointed GBP/JPY could quickly drop to 1.3500 and perhaps even 1.3200 over the next few days. 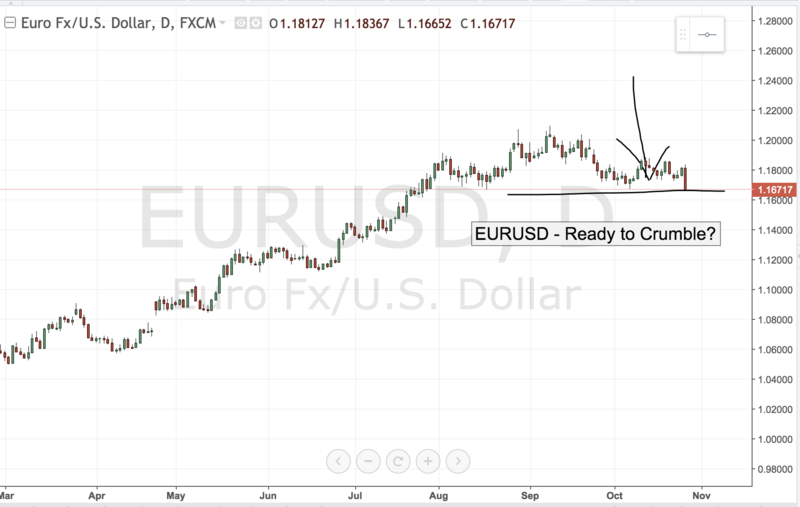 EUR/JPY – Ready to Tumble? 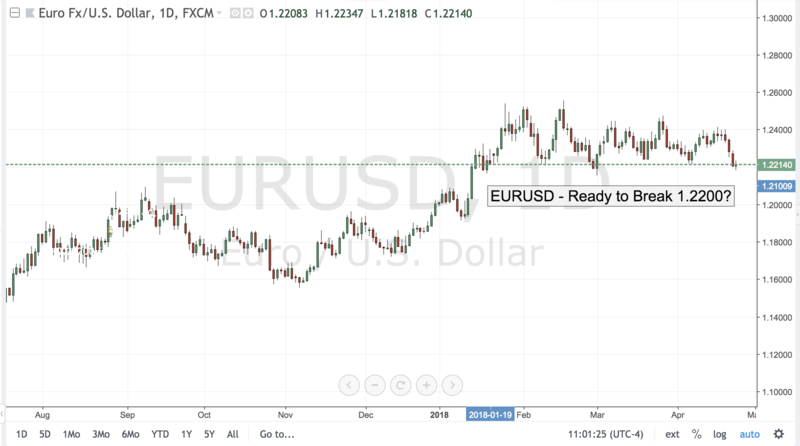 The ECB meeting today offered little fresh information to the market, but Mario Draghi clearly stressed that the risk were still skewed to the downside and that council was open to further stimulus down the road if need be. That is likely to put downward pressure on the euro, especially if tonight’s flash PMI data misses estimates. On the other side of the world, the BOJ has tried to make it abundantly clear that they will not engage in unconventional monetary policy known as “helicopter money” and that has taken the wind out of the sails of the USD/JPY rally. 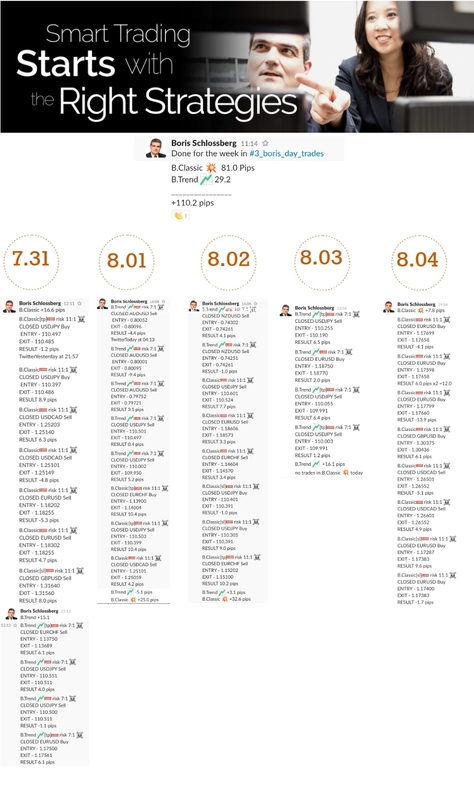 All of this suggests that EUR/JPY is likely to have topped at the 118.00 level and may now drift towards 115.00 as risk aversion flows and weaker economic data exert their influence. The pair does not have any serious support until the 114.00 level while 118.00 looks to be solid resistance for now. 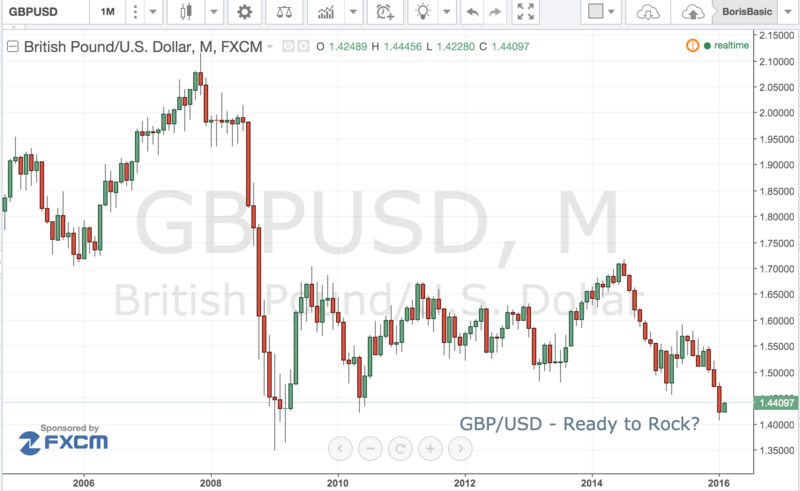 GBP/USD – Ready to Rock? After months of seemingly endless selling, cable appears to have finally found a bottom and may be ready to stage a short covering rally. The pair has been under unremitting pressure from fears of a Brexit as the majority of British public appeared to be ready to exit from EU, But over the past several weeks, much to the relief of investors sentiment has started to shift towards staying in the union and Brussels has made some conciliatory noises with respect to accommodating UK demands. Against this backdrop UK eco data has been improving as well boosted by the weaker exchange rate as PMI Manufacturing surprised to the upside. If today’s PMI services report also beats consensus the pair could make a break for the 1.4500 as the short covering rally starts in earnest.